Brush strokes privacy film is like an abstract watercolour painting for your glass, evoking the gentle beauty of Monet's water lilies. This premium privacy window film blocks unwanted views and filters light while providing an artful update for any glass surface with a prismatic finish. This heavy-weight vinyl window film measures 35.25in X 78in and is totally removable and reusable. With a prismatic geometric design, the cubix window film creates a high style look on any glass surface. This premium quality, heavy weight privacy film is deeply embossed and has a captivating opalescent finish. Create privacy and enjoy naturally refracted light through this fine window film. Cubix privacy film measures 11.5in X 78in and is totally removable and reusable. With the authentic look and feel of a beautiful stained glass window, the dogwood blossom window film makes a beautiful look on any glass surface. This premium design is made from a heavy-weight deeply embossed vinyl and features an artful prismatic finish. Block unwanted views and enjoy naturally refracted light with this fine privacy window film. Measures 11.5in X 78in and is totally removable and reusable. 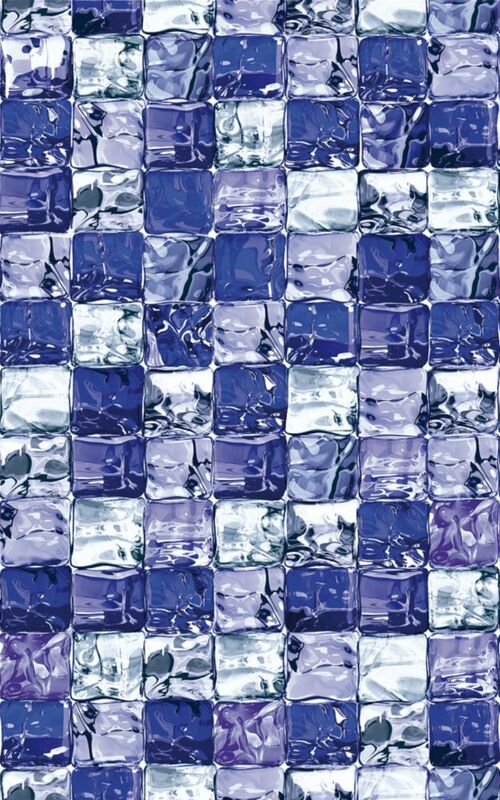 338-0038 Home Décor Static Cling Window Film 17-inch x 59-inch Ice Cube - 2 Pack Ice cube is a fresh ice cube pattern static cling window film with a blue water effect tinge. Our collection of d-c-fix. static cling window films have been developed using innovative static cling technology to make application so quick and easy, you'll be amazed. The film adheres to the glass surface using water, which later dries out leaving a flawless finish with no air bubbles. Whether you're looking for some privacy for an overlooked window or would just like to add some decoration to plain glass, d-c-fix. static films offer a wide range of designs in varying sized rolls to fit any area of glass. d-c-fix. static window films can be peeled off leaving no residue and can be re-used.